If you are looking for the best VPN or Virtual Private Networks apps for your iPhone, iPad and iPod Touch, you are the right place. Here, you can see 14 best VPN Proxy Apps for iPhone and other iOS devices that helps you to protect your identity and allow you to browse safely, and help you circumvent several regional restriction on websites access blocked content on the web and do more. With the help of these best vpn proxy apps, you can protect your privacy while browsing the WiFi or internet on your iPhone. 1. VPN Master Pro - Unlimited & Secure VPN Proxy ( iPhone + iPad ) :- VPN Master Pro is one of the best, powerful and advanced VPN Proxy Apps for iPhone and iPad. VPN Master Pro app has several amazing and user-friendly features such as high-speed and encrypted VPN connection, protect your network traffic under WiFi hotspot browse anonymously and securely without being tracked, works with WiFi, LTE, 3G and all mobile data carriers and, you can also visit your favorite websites and apps with VPN Master anytime, anywhere. 2. 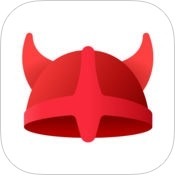 Opera Free VPN - Unlimited Ad-Blocking VPN ( iPhone + iPad ) :- With the help of Opera Free VPN app, you can block ads and lets you change your virtual location, you can unblock more content and stop trackers from following you around the web and, you can also help prevent pesky sites from tracking your footsteps and activities on the web. 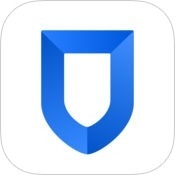 Opera Free VPN-Unlimited Ad-Blocking VPN app has lots of effective and advance features such as fast and more reliable VPN services, unblocked access through your choice of five virtual locations, a built-in ad blocker for ads in Safari, Chrome and other apps, a built-in tracker blocker to enhance online privacey and, much more. 3. 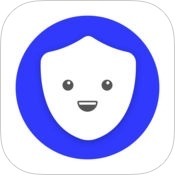 Best vpn proxy Betternet - unlimited VPN security ( iPhone + iPad ) :- If you want to use the best VPN Proxy app on your iPhone and iPad, you can use Best vpn proxy Betternet-unlimited VPN security app. With the help of this vpn proxy app, you can access to all websites and apps, at school, at work or anywhere on the road and, you can also surf on Netfix, Facebook and any social, music or videos platforms. Betternet has excellent features such as fastet VPN servers, stay safe and protected, free forever with ads, simple & one tap connect to VPN, Anonymous surfing, protect privacy and secure your device and, much more. 4. 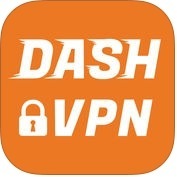 VPN in Touch | VPN Proxy and Hotspot Security ( iPhone + iPad ) :- This is one of the fastest and most secure smartphone VPN service apps for iPhone and iPad. VPN in Touch or VPN Proxy and Hotspot Security app has lots of powerful features such as security and privacy always matter, VPN on demand, data saving, ad blocking, user-friendly and, much more. 5. 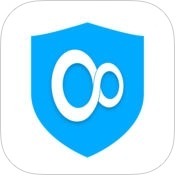 HotspotShield VPN Unlimited Privacy Security Proxy ( iPhone + iPad ) :- If you want to use one of the most trusted security, privacy and access apps on your iPhone and iPad, that has amazing performance, speed, stability and security. With the help of HotspotShield VPN app, you can access websites and apps securely and privately at home, school, work or from anywhere in the world and, you can also stay private and anonymous online. This VPN proxy app has several user-interface features such as no logs kept, free and unlimited, trusted by more than 500 million global users, prevent anyone from tracking your IP address, identity and location from websites and online trackers, no sign up, registration or credit cards required and, more. 6. 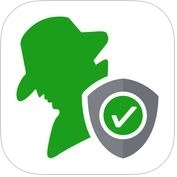 SurfEasy VPN - Privacy & Security VPN Proxy ( iPhone + iPad ) :- With the help of SurfEasy VPN app, you can browse the web sucurely on public Wifi or without any loss of speed and, without even knowing what you are doing, you can hide your IP address and, you can also browse anonymously without being tracked. SurfEasy VPN has lots of advance features such as strict no-log network, enhanced tracker blocker, WiFi hotspot protection, dedicated customer support and, much more. 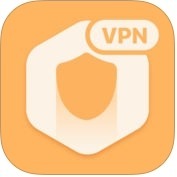 7. proXPN VPN | Free VPN, protect your privacy ( iPhone + iPad ) :- If you want to use one of the best, powerful and user-friendly VPN apps on your iPhone and iPad that encrypts all data sent to and from your device while masking your public IP address, proXPN ensures that your online activities are safe, you should use this best vpn proxy app on your iOS devices. With the help of proXPN VPN app, you can access websites and apps securely and privately at home, school, work or from anywhere in the world and, you can also stay private and anonymous online. 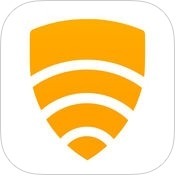 8. ibVPN - VPN for Wifi Security and IP Protection ( iPhone + iPad ) :- ibVPN is a great and advance featured VPN proxy app for iPhone and iPad. 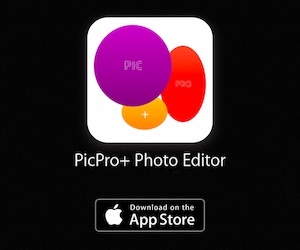 It is very simple and easy to use universal iOS app. ibVPN app has lots of unique features such as it gives your device a new IP address and hides your real IP and, allows you to surf the web safely, it keeps you safe from 3rd party tracking cookies, VPN connections are faster and more stable than proxy connections, get access to your favorite media sites while travelling around the world, keeps your wireless hotspot protected and, much more. 9. 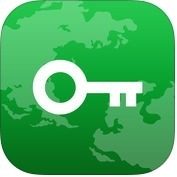 VPN ( iPhone + iPad ) :- Are you looking one of the fastest and powerful VPN proxy app? If yes, you can use VPN app on you iPhone and iPad, that secure your connection to the cloud through anonymous VPN service. This VPN proxy app has several amazing and user-interface features such as data usage, track your usage on important trips and check your connection speed right in the app, protect your privacy, fast and more. 10. 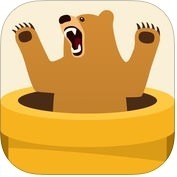 TunnelBear VPN Proxy: WiFi Security & Privacy ( iPhone + iPad ) :- TunnelBear VPN Proxy app protects your online privacy, access your favorite websites and browse securely on Wifi hotspots. TunnelBear is one of the best and beautiful vpn proxy apps for iPhone and iPad. TunnelBear VPN Proxy app has lots of excellent features such as access to your favorite websites, anytime, anywhere; browse the internet with more privacy from hackers, ISPs and anyone monitoring your network, encrypt your data to browse with confidence while you're connected to WiFi hotspots, easy to use, lightning fast connection speeds to more than 20 countries in ever expanding network and, much more. 11. VPN Proxy by Seed4.Me VPN, Secure WiFi with VPN ( iPhone + iPad ) :- With the help of VPN Proxy by Seed4 app, you can keep your online activities safe and private, you can encrypt your internet surfing data, and protect your online privacy when using the internet in potentially unsafe locations, you can access any website anonymously, unlimited data transfer and, you can also protect privacy, hide your IP address. 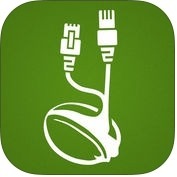 VPN Proxy by Seed4 provides a safe and trustworthy connection by configuring an encrypted and secure channel between your iPhone, iPad and other iOS. 12. 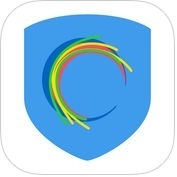 VPN Unlimited - Best Secure Hotspot VPN Proxy ( iPhone + iPad + Apple Watch ) :- If you want to get secure and unlimited access to your favorite websites wherever you are, you can use VPN Unlimited app on your iPhone, iPad and Apple Watch, with built-in-DNS Firewall to protect your privacy and secure your connections when you use public WiFi hotspots. VPN Unlimited app has several unique and user-friendly features such as get full access to all web content, protect your privacy, keep safe your private data, hide your IP and physical address, avoid malware websites and block ads, more than 70 locations with more than 1200 high-speed servers, 24/7 customer support, and, more. 13. HexaTech VPN Proxy & WiFi Security ( iPhone + iPad ) :- If you want to access content privately or to secure your iOS devices connections over public WiFi hotspot and other public locations, you can use Hexa Tech VPN Proxy & WiFi Security app on your iPhone and iPad. Hexa Tech VPN Proxy is highly recommanded app for iPhone and iPad users. It is totally free VPN with limited ads, fast speed VPN and WiFi hotspot shield. You can browse anonymously and securely now with Hexa Tech Proxy. 14. 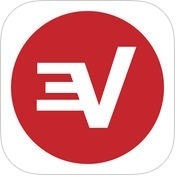 ExpressVPN - Fast & Reliable Premium VPN Proxy ( iPhone + iPad ) :- With the help of Express VPN app, you can browse the internet securely and anonymously, you can easily download and use across your iPhone and iPad. Express VPN has lots of advance and unique features such as provides more than 145 connection locations in 94 countries, log-free virtual private network provider, offers encryption with UDP,TCP and IPsec protocols and more.